Build Wisconsin for L!fe on #GivingTuesday! #GivingTuesday may almost be over, but your opportunity to build Wisconsin for life is not! You can help support the work of the Wisconsin Right to Life Education Fund through #GivingTuesday until the end of this week. Your gifts will go far in building a culture of life in our state. 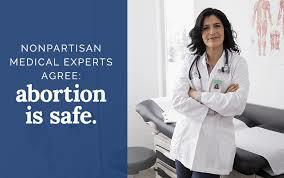 They will save babies. They will teach teens the truth about abortion and the life issues. They will equip pro-life students to bring the message of life to colleges and universities which are often bastions of abortion advocacy. Your gifts to the Wisconsin Right to Life Education Fund will protect the most vulnerable members of our society and make you our partner in Building Wisconsin for Life! It was 2017. Kayla was pregnant. Without a job and without money, she had no idea how she would care for her unborn child. Kayla had nowhere to live, no access to medical care, and no hope. All she wanted was a safe home for her baby, but it seemed impossible. One of Kayla’s friends directed her to a pregnancy resource center. Not only did Kayla receive the medical care she needed, she learned about the Wisconsin Right to Life Emergency Grant program. 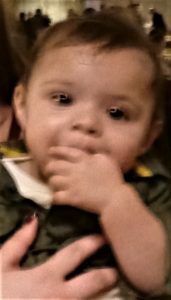 Because of the generosity of friends like you, Wisconsin Right to Life’s Emergency Grant program was able to pay the security deposit on a safe, warm place for Kayla and her baby boy to live. 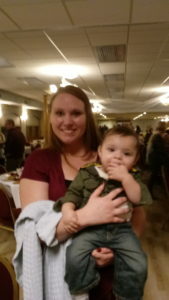 Kayla and her baby boy were saved through your generosity and a Wisconsin Right to Life Emergency Grant. 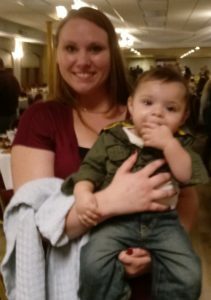 Kayla is only one of the dozens of women who have been able to choose life for their unborn children because of a Wisconsin Right to Life Emergency Grant. Your generous donations are the only way we are able to award these lifesaving grants. We know that over 70% of women who have abortions feel coerced or pressured by outside circumstances to end their child’s life. 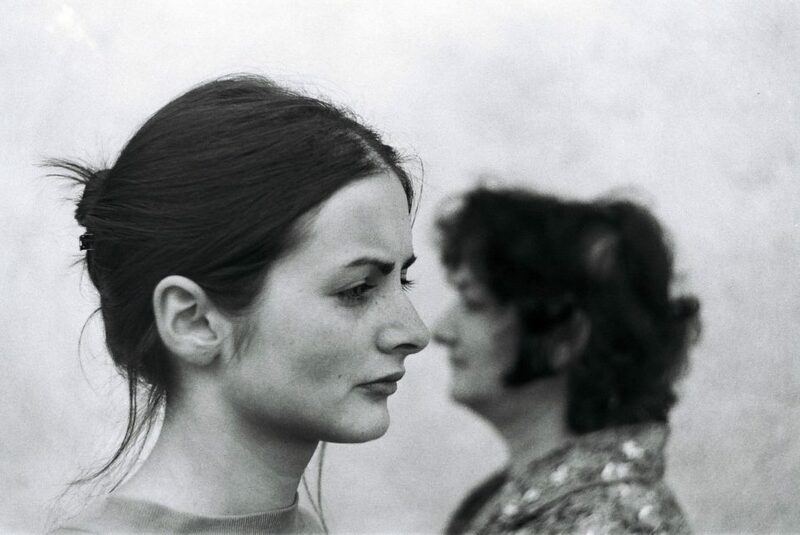 Many times, it is immediate financial crisis which leads women to think that abortion is their only option. Many times, it is only a couple of hundred dollars that determines whether a baby lives or dies. 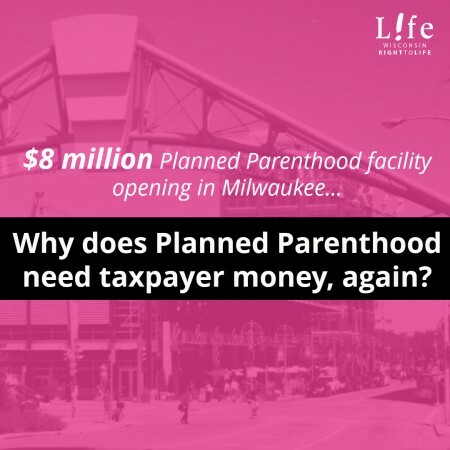 The Wisconsin Right to Life Emergency Grant program exists to alleviate these financial crises. We work with pregnancy resource centers to provide payment directly to property managers, utility companies, and other creditors so women can choose life. Every Emergency Grant awarded represents a life saved and a mother spared a lifetime of regret! Your generosity on #GivingTuesday will help fund Wisconsin Right to Life’s Emergency Grant program in 2019. Please give generously so we never have to say, “No” to a woman considering abortion because of a financial crisis. #Giving Tuesday 2018 will take place on Tuesday, November 27th. This is your opportunity to help Wisconsin Right to Life Build Wisconsin for Life in 2019! #GivingTuesday is a day set aside to help non-profit organizations as they plan for the coming year. It was created to offset the shopping heydays of Black Friday and Cyber Monday as a way for all of us to focus on helping others. The Wisconsin Right to Life Education Fund relies heavily on #GivingTuesday to fund our many programs, including Emergency Grants. You don’t have to wait until #GivingTuesday to give, though! We are accepting #GivingTuesday gifts throughout the month of November. 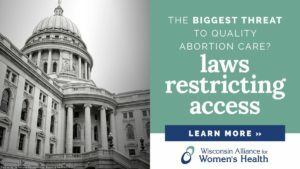 Wisconsin Right to Life receives Emergency Grant requests on a regular basis. We are relying on your generosity to never have to say, “No” to a woman in need! Thank you for supporting the Wisconsin Right to Life Education Fund and Emergency Grants on #GivingTuesday! Can Pro-Life College Students Have a Voice? 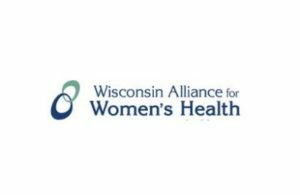 November 27th is coming and, along with it, your opportunity to help WRTL Build Wisconsin for Life in 2019! #GivingTuesday is a day set aside for you to give to your favorite non-profit organizations. It was created to offset the shopping heydays of Black Friday and Cyber Monday. The Wisconsin Right to Life Education Fund relies heavily on #GivingTuesday to fund our many programs. Our L!fe on Campus college groups benefit tremendously from #GivingTuesday! L!fe on Campus students from UW-Whitewater at a campus tabling event. It’s no secret that our college campuses are strongholds for pro-abortion activism. Knowing there was a need for the pro-life message to be heard at colleges and universities, Wisconsin Right to Life established pro-life groups on college campuses around Wisconsin years before any other group. Now appropriately called L!fe on Campus, these groups are bringing the truth about life to colleges and universities throughout our state and giving pro-life students a voice. Offer camaraderie and support to pro-life students who often feel alone. 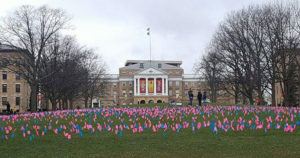 Pro-life displays like this Cemetery of the Innocents on Bascom Hill at UW-Madison are one of the many ways L!fe on Campus students raise awareness about abortion. 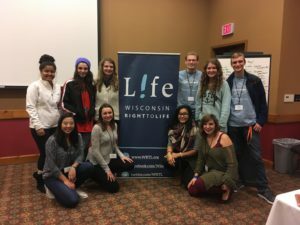 In order to ensure that L!fe on Campus students are equipped to be pro-life leaders at their colleges and universities, the Wisconsin Right to Life Education Fund holds a college training weekend each fall. This is an event our L!fe on Campus students love! 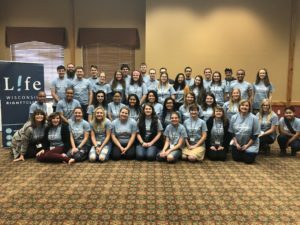 L!fe on Campus students (as well as some members of the WRTL staff) at the 2018 L!fe on Campus College Training. 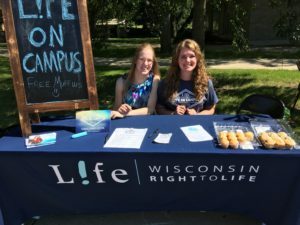 Your gifts are making a difference at colleges and universities across Wisconsin and are giving pro-life students a voice! 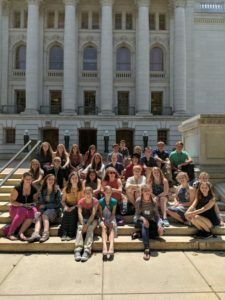 And there’s great news: Because of your generosity to L!fe on Campus and the Wisconsin Right to Life Education Fund, the number of L!fe on Campus groups expanded from 13 to 18 groups during 2018! Your gifts to Wisconsin Right to Life on #GivingTuesday will help us support all of our Education programs, including all of our L!fe on Campus groups. And you don’t have to wait until #GivingTuesday, either. You can give today! Thanks so much for your support of the Wisconsin Right to Life Education Fund through #GivingTuesday! #GivingTuesday, November 27, is quickly approaching! This is a day to focus on helping others after the shopping extravaganza days of Black Friday and Cyber Monday. #GivingTuesday serves as a reminder to all of us that non-profits depend on the generosity of others to survive. Wisconsin Right to Life relies heavily on #GivingTuesday to fund our educational programs. One program that benefits from #GivingTuesday is our L!fe Camp summer teen camp. In order to Keep Building Wisconsin for Life, the pro-life movement needs leaders for the future. 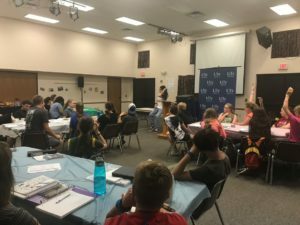 With this in mind, Wisconsin Right to Life’s Joleigh Bass created what is now L!fe Camp, a five-day summer camp that teaches teens the sometimes-forgotten skills of logic, rhetoric and debate from prominent pro-life leaders, all through the lens of the life issues. So are kids enjoying camp? The answer is a resounding YES! 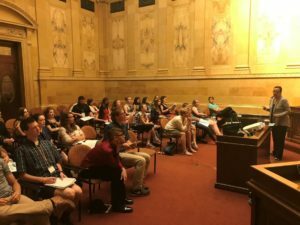 Campers also spend a day in Madison at the capitol. There, they learn the importance of pro-life laws and their part in the legislative process. They also learn about lobbying and meet with legislators and their staff to discuss the life issues. L!fe Camp 2019 will take place August 5-9 at the Green Lake Conference Center. Dave Sterrett, founder of the ministry “Disruptive Truth” as well as author of I Am Second: Real Stories, Changing Lives, Aborting Aristotle, and We Choose Life: Authentic Stories, Movements of Hope will join the team at L!fe Camp. He will be teaching on such topics as what it means to be human, natural law, and avoiding bias fallacies when discussing the life issues. More information can be found at LifeSummerCamp.com. New speakers and sessions are being added, so be sure to check LifeSummerCamp.com often! L!fe Camp is not only making a difference in the lives of teens, it’s making a difference in our culture. Gifts to Wisconsin Right to Life’s #GivingTuesday campaign will help fund all of our education programs, including L!feCamp. You don’t have to wait until #GivingTuesday, either. You can give today! And don’t forget: your gifts to the WRTL Education Fund are fully tax-deductible. Thank you for helping Wisconsin teens learn the truth about life! What’s So Special About November 27? It’s hard to believe that November is here and the holidays are bearing down on us like a freight train. While this time of year is filled with excitement about Thanksgiving turkeys, Christmas cookies, twinkling lights, and shimmering trees, for most of us, the biggest joy of the holiday season is giving of ourselves to those we love. That joy of giving is what inspired #GivingTuesday. What is this? #GivingTuesday takes place the Tuesday after the major shopping days of Black Friday and Cyber Monday. It is an opportunity to give to the non-profits of your choice who rely on the generosity of friends like you to survive. This year #GivingTuesday will take place on November 27. In order to continue Building Wisconsin for life, Wisconsin Right to Life depends on #GivingTuesday. The monies raised on #GivingTuesday will help us continue providing Emergency Grants so at-risk women can choose life, equipping our L!fe on Campus college students to be voices for life in the hostile grounds of university campuses, and training the pro-life leaders of tomorrow through our L!fe Camp for teens – the standard-bearer for other such teen programs across America. Watch your inbox in the coming days to meet the people who will benefit from your #GivingTuesday gifts. You’ll meet L!fe Camp campers, L!fe on Campus members, and learn how women are choosing life because of our Emergency Grant program. You don’t have to wait for #GivingTuesday to make a gift! Donations for #GivingTuesday are being accepted throughout the month of November. As always, your gifts to the Wisconsin Right to Life Education Fund are fully tax-deductible. Thank you for your generosity. Because of you, we will keep Building Wisconsin for Life! Wisconsin Right to Life is Proud to be Part of Giving Tuesday! What is Giving Tuesday? It was begun a few years ago as an antidote, of sorts, to Black Friday and Cyber Monday. It takes place the Tuesday after Thanksgiving — this year on Tuesday, December 1st. Giving Tuesday is a movement fueled by social media that celebrates the generous spirit that is especially present in our pro-life friends. The most exciting thing about partnering with Wisconsin Right to Life on Giving Tuesday is that YOU can save the life of an unborn child. How? Visit our exclusive Giving Tuesday web site at www.wrtl.org/Save1Life to find out! Please watch your in-box, Facebook and Twitter for more information on this exciting day of generosity. You don’t follow Wisconsin Right to Life on Facebook or Twitter? Now is the time to start! 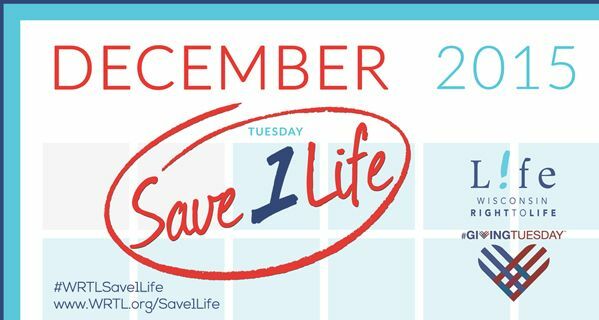 You don’t want to miss the opportunity to SAVE1LIFE! To find out more, learn how you can help us promote Giving Tuesday, or to make a donation now, please visit www.wrtl.org/Save1Life! Please support the work of the Wisconsin Right to Life Education Fund and help make our Giving Tuesday campaign a success! 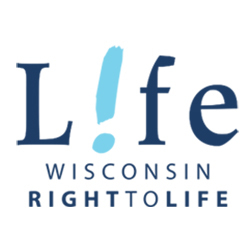 The Wisconsin Right to Life Education Fund is a 501(c)(3) tax-exempt organization. Contributions to the Education Fund are fully tax deductible. Your ticket for the: Build Wisconsin for L!fe on #GivingTuesday!